By most metrics, Jeff Samardzija had himself a career year in 2017. His strikeout rate hinted a 25% clip, he featured a minuscule 3.8% walk rate, and his 1.14 WHIP was the second best mark of his career. What did have to show for it? An obtuse 4.42 ERA that seems unjust for such strong peripherals, fueled by a ghastly 1.30 HR/9 mark and a 13.8% HR/FB rate. Can Samardzija lower his home run rate? If he does, can we assume that Samardzija will keep near the same strikeout and walk rates and hint at his 3.63 SIERA? Was there something in his approach that suggested he should allow six extra tates or should we just cough it up to “juiced balls” and the state of the game? I don’t keep my approach to analyzing pitcher trends a secret. I’m in the camp that unless we can see something has changed – a shift in approach, minor tweak, revamped pitch mix, or even moving along the rubber – then we should attribute this as normal fluctuation. “It’s just noise,” we often say, like a Sonic Youth album. 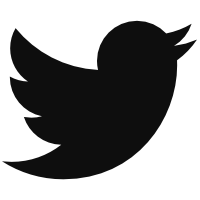 Here’s what I see. These numbers speak to a pitcher who elected to go from nibbling on the corners with his sinker to throwing it over the plate with reckless abandon. A zone rate increase of that much is sure to lead to pitches early in counts that are located in the heart of the plate, shortly thereafter launched into the waters of McCovey Cove. That’s the theory. More strikes with two-seamers = lower quality pitches inside the zone = more demolished baseballs. To test this, I watched all 10 home runs hit off Samardzija’s sinker in 2017. Here are GIFs of each HR hit off Samardzija’s sinkers last season. I’m going to go in sequential order, giving each sinker one of three labels: Pitches that had no intention of hitting the corner (“Grooved”), pitches that Samardzija failed to hit the glove (“Mistakes”), and pitches that were well executed but still clobbered (“Whatareyagonnado”). Let’s get to it. Right away, we have exactly what I was looking for. Posey doesn’t have a specific target save for what I’m interpreting as “generally over the plate,” and Samardzija floats one up that Peralta smacks the other way for the first Arizona run of the game. This is as grooved as it gets, even coming in at 91mph – three ticks lower than Shark’s average sinker for the season. The theory is looking fly. This was actually Samardzija’s first hit allowed of the evening as he attempted to pinpoint the outside corner for a strike, possibly trying to get Schimpf to roll over the pitch for a quick double-play. 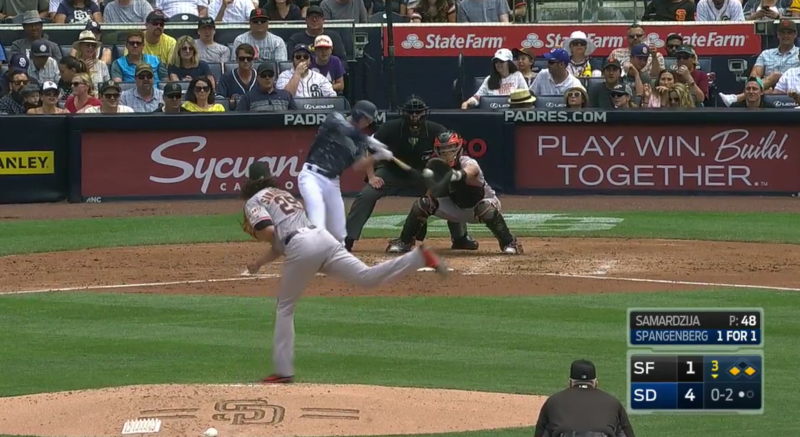 Samardzija tugged it and it landed middle-middle, in the wheelhouse of any Padres hitter. Don’t do this Samardzija. How do you normally beat sluggers? You jam them with fastballs inside and breaking balls away. That’s common convention and Samardzija executed the first half of this game-plan with a two-seamer that dove in on Bryant’s hands. But Bryant was ready for it and smacked it out of the park. I should note that this was the only batted ball with an exit velocity under 100mph, with a relatively pedestrian 93.6mph mark. This could have been the product of a windy Chicago day and if you’re Samardzija you just have to move on with your life. It’s the same game as Bryant’s blast, but this one was genuinely smoked by Heyward. Samardzija not only served the pitch to the middle part of the plate, but even had a little elevation to it, making it easy for Heyward to line it out of the stadium. This is a bad one. There’s a little bit of a grey area here as Samardzija did get this ball down and inside, but it caught more of the plate than ideal. Still, it’s not the meatballs we saw with Heyward and Schimpf, and it’s certainly not grooved in there at a blistering 97mph. So it goes, Samardzija. So it goes. I’m a little torn on this one. This doesn’t seem to be paired with the same “eye-of-the-tiger” passion for nibbling the corner as we’ve seen other pitches here, but instead of labeling it as “Grooved”, this pitch ends up located in just about the worst possible place to pitch a baseball and Samardzija certainly wasn’t aiming to hit this spot. That’s a mistake. Do you want to see a mistake? This is a mistake. You can read it in Samardzija’s “hero” pose that is really his attempt to freeze time so he doesn’t have to witness how far this ball traveled off the bat. Bour was clearly looking fastball in this 1-0 count and you could hear him licking his lips in the broadcast. Get it together Samardzija. 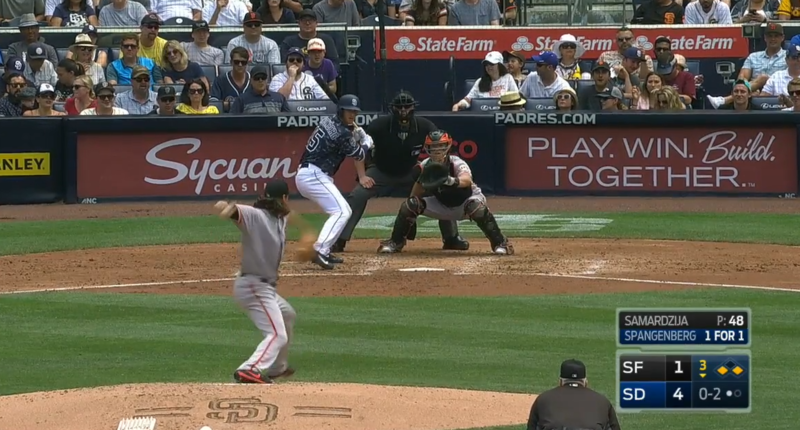 It’s an 0-2 count and Posey calls for a high fastball. Here is where his target was before the pitch was thrown. Here’s where the ball was located. And Spangenberg drilled it to center for the 7th run of the game. This is a mistake in a “bad pitch call” mistake, but not a “why did you put that here when I wanted it here” mistake. I’m going to go out on a limb and suggest they didn’t take this 0-2 approach again. Like with Bryant, this was supposed to be an inside heater to jam Abreu, but instead it missed terribly over the middle of the plate. Even moreso, with Abreu going opposite field on a middle-middle pitch, it makes you wonder if he would have pulled the intended location over the fence as well. This was a mistake all around and we’ll put it on the board. Here’s another 0-2 pitch that frustrates me as someone who innately roots for the pitcher. Samardzija actually executed a pretty solid pitch as it started at Lamb’s hip before riding back over the inside corner. If it missed, it missed inside – not over the plate – which is exactly what you want in an 0-2 count. And he was punished for it. Punished. Baseball just isn’t fair, you know? There’s plenty to dissect here about Samardzija’s splitter. Samardzija not only elected to hold back on his splitter in 2017 – a pitch with a near 20% career whiff rate – but when he did feature it, he threw it for strikes over 40% of the time and exhibited an O-Swing well above his career average. This should be a good pitch and a weapon in his arsenal, but its low usage and transformation into a strike-getter restrict its potential. This should be a chase pitch and an effective one at that. Now back to the HRs allowed. So my theory was debunked. We had a great time with the first Peralta heater, but all the others were either well-executed swings or poorly thrown pitches from Samardzija. I could say that Samardzija is prone to bad mistakes with his two-seamer (i.e. mistakes over the plate opposed to of off the plate), wag my finger telling him to do a better job of commanding the pitch, and call it a day. But that just wouldn’t be right. The one element here that may get overlooked is from the “Whatareyougonnado” home runs and I’d even argue the “Mistake” ones as well: sequencing. In each of these, the batter was ready to take a hack at a fastball. If they were in any way expecting off-speed, there isn’t a chance they are speeding up their bat to make the contact they did. These were batters timed on his two-seamer and eager to take a hack at it. Samardzija needs a pitch to “keep batters honest,” a way to punish batters if they cheat on a heater and make them second guess themselves the next time they want to gear up for a fastball. And here’s the thing. Samardzija already has that pitch in his splitter. It doesn’t shock me that his splitter had an excellent O-Swing rate despite not having the mentality of focusing his splitter off the plate, and it shouldn’t shock you either. Batters were cheating on the heat and when he showed up with a splitter instead, they were already committed and went fishing. But that wasn’t the plan last season, throwing the splitter under 8.0% of the time and featuring a 40%+ zone rate. It makes me believe that bumping up its usage and focusing its location under the strikezone, thereby reducing its zone rate to its career 33.4% mark, would work wonders while still maintaining the same sub 5% walk rate and high zone rate with his two-seamer. Make batters less comfortable in the box while still being aggressive inside the zone with a two-seamer. It’s something to consider and I wonder if this kind of tinkering is in play for 2018. After looking at these home runs, there is optimism for Samardzija. I previously believed that the answer to fixing his longball problems without damaging his ratios lied solely in his splitter approach, but there are other areas, too. Different pitch sequencing overall with the rest of his repertoire would work, and of course, you know, not missing in the middle of the plate with a two-seamer. I wouldn’t suggest that Samardzija could pull off an identical season with a sub 1.00 HR/9, a feat that would propel him to the Top 20 SP ranks- Samardzija has gone through waves of success and failure during his tenure at the MLB level and it would be foolish to overlook it. At the same time, he does seem to plenty more polished than previous seasons, boasting a stronger foundation that allows for small tweaks to have great effects. Jeff Samardzija is currently the #34th starting pitcher off the board in NFBC drafts and I think he’s worth the pick there. I’d be surprised if there isn’t some adjustment made to correct a near 4.50 ERA and the underlying numbers suggest he can maintain close to the same WHIP and K/BB we saw in 2017. Let’s hope he can fix it. We hoped you liked reading Pitcher Spotlight: Jeff Samardzija’s Home Run Problem by Nick Pollack!